The Openstack blippings on my radar have ratcheted up this year. I have been asked to put together the IaaS design several times, either with the flavours of RedHat or Ubuntu, and it’s a good thing to see the Openstack interest level going up in the Malaysian IT scene. Coming into its 8th year, Openstack has become a mature platform but in the storage projects of Openstack, my observations tell me that these storage-related projects are not as well known as we speak. I was one of the speakers at the Openstack Malaysia 8th Summit over a month ago. I started my talk with question – “Can anyone name the 4 Openstack storage projects?“. The response from the floor was “Swift, Cinder, Ceph and … (nobody knew the 4th one)” It took me by surprise when the floor almost univocally agreed that Ceph is one of the Openstack projects but we know that Ceph isn’t one. Ceph? An Openstack storage project? Besides Swift, Cinder, there is Glance (depending on how you look at it) and the least known .. Manila. I have also been following on many Openstack Malaysia discussions and discussion groups for a while. That Ceph response showed the lack of awareness and knowledge of the Openstack storage projects among the Malaysian IT crowd, and it was a difficult issue to tackle. The storage conundrum continues to perplex me because many whom I have spoken to seemed to avoid talking about storage and viewing it like a dark art or some voodoo thingy. I view storage as the cornerstone of the 3 infrastructure pillars – compute, network and storage – of Openstack or any software-defined infrastructure stack for that matter. So it is important to get an understanding the Openstack storage projects, especially Cinder. 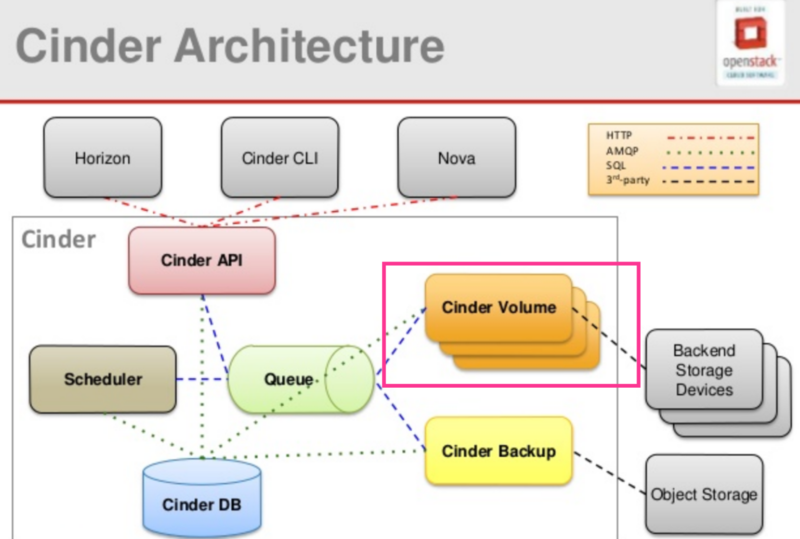 Cinder is the abstraction layer that gives management and control to block storage beneath it. In a nutshell, it allows Openstack VMs and applications consume block storage in a consistent and secure way, regardless of the storage infrastructure or technology beneath it. This is achieved through the cinder-volume service which is a driver most storage vendors integrate with (as shown in the diagram below). Brunei, a country rich in oil and gas, is facing a crisis. Their oil & gas reserves are rapidly running dry and expected to be depleted within 2 decades. Their deep dependency on oil and gas, once the boon of their economy, is now the bane of their future. Since 2000, I have been in and out of Brunei and got involved in several engagements there. It is a wonderful and peaceful country with friendly people, always welcoming visitors with open hearts. The country has prospered for decades, with its vast oil riches but in the past few years, the oil prices have been curbed. The profits of oil and gas no longer justify the costs of exploration and production. 2 years ago, I started pitching a new economy generator for the IT partners in Brunei. One that I believe will give a country like Brunei the ability to leapfrog their neighbours in South East Asia, which is to start build a High Performance Computing (HPC)-as-a-Service (HPC-as-a-Service) type of business. Why HPC? Why do I think HPC will give a developing country like Brunei super powers in the digital economy?